With Middle Eastern and Arab countries experiencing unrest, Arutz-7 presents a brief review on the Arabs – and Jews – in the various areas. Hundreds of protestors clashed with security forces in the capital city of Algiers over the past few days, demanding the ouster of President Abdelaziz Bouteflika. About 100 have been arrested. Bouteflika has agreed to lift the nearly 20-year-old state of emergency with which the country has been ruled. Algeria’s Jewish population can be traced back about 2,600 years, to when the First Temple was destroyed. After Algeria achieved independence from France in 1962, most of the country’s 130,000 Jews – who had long suffered from local anti-Semitism – emigrated to France. By the 1990’s, most of the remaining Jews had emigrated. In 1994, the rebel Armed Islamic Group declared war on all non-Muslims in the country. The Algiers synagogue was abandoned that year and later became a mosque. Slightly more than 200 Jews remain today in Algeria, mostly in Algiers. Thousands of people are marching in the streets today, demanding the regime’s ousting. At least two protestors have been killed and three police officers hurt. The small island kingdom (population 1.25 million) has been ruled by the Al Khalifa royal family for nearly two centuries, since 1820. After World War II, riots were focused against the middle-class Jewish community. By 1948, most of Bahrain Jewry abandoned its properties and evacuated to Bombay, India and later to Israel and the United Kingdom. As of 2008, 37 Jews remained in the country; the issue of compensation was never settled. In 2008, King Hamad Bin Isa Al-Khalifa called on the Jews who emigrated to return. Unrest continues despite the resignation of President Hosni Mubarak on Friday. Banks and the stock market remain closed, while the army attempts to take control until elections are able to be arranged. In 1956, the Egyptian government issued a proclamation stating that “all Jews are Zionists and enemies of the state” and threatened them with expulsion. As a result, half of Egypt’s 50,000 Jews left, and 1,000 were imprisoned. After the 1967 war, nearly all Egyptian Jewish men aged 17-60 were either thrown out of the country or incarcerated and tortured. Fewer than 100 Jews remain in Egypt today. Tens of thousands of anti-Ahmadinejad demonstrators marched in downtown Tehran on Monday. The Parliament Speaker blamed the United States and Israel for the protests. Opposition activists continue to call for more demonstrations, in which security forces have fired tear gas; dozens of people have been arrested, and two opposition leaders have been placed under house arrest. "The parliament condemns the Zionist, American, anti-revolutionary and anti-national action of the misled seditionists," Speaker Ali Larijani said during a parliament session. 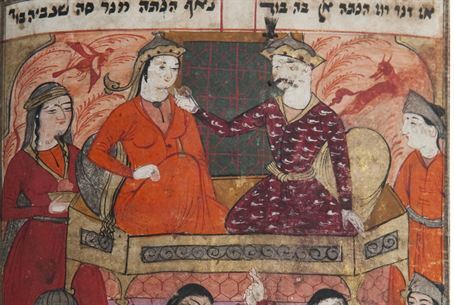 Jews in Iran, formerly known as Persia, date back 4,000 years. In 1948, the population numbered close to 150,000, and at the time of the 1979 Islamic Revolution, the number was 80,000. From then on, Jewish emigration increased dramatically. Estimates of today’s population range from 20,000 to 35,000. Iran's Jewish community, the largest among Muslim countries, is officially recognized as a religious minority group and as such is allocated one seat in the Iranian Parliament. Tehran has 11 functioning synagogues. Though Prime Minister Nuri al-Maliki’s regime does not appear to be in imminent danger, thousands of people have rallied in recent days and weeks across the country, protesting poverty, high unemployment, and shortages of food, electricity and water. Al-Maliki has announced a 50% cut in his $350,000 salary and that he would not run for a third term in 2014. Iraqi Jewry dates back at least 2,600 years, and numbered around 120,000 in 1948. Nearly all the Jews left because of persecution following Israel’s War of Independence, and today fewer than 100 Jews remain. The future of Tunisia is still in doubt, following the fleeing of longtime President Zine El Abidine Ben Ali as a result of the December unrest that sparked the protests across the Middle East. The EU’s top foreign policy official, Catherine Ashton, met yesterday with various leaders in an attempt to shape a policy for governing the country. In 1941, Tunisia was home to roughly 100,000 Jews, and a year later became the only Arab country to come under direct Nazi occupation during World War II. The Nazis forced Jews to wear the yellow Star of David, confiscated property, and sent some 5,700 Jews to forced labor camps, where 150 died in the camps or the bombings. In the 1950’s, anti-Semitism and other forms of persecution led to the departure of tens of thousands of Jews; each person was allowed to leave with approximately $5 of their own money. As of now, 700 Jews live in the city of Tunis and 1,000 on the island of Djerba. Amidst the Arab demands for the restitution of Arab refugees from the 1948 war, it is largely forgotten that around that time, more than 870,000 Jews lived in the various Arab countries. In many cases, they were persecuted politically and physically, and their property was confiscated; some 600,000 Jews found refuge in the State of Israel. Their material claims for their lost assets have never been seriously considered.